Sharjah Investment and Development Authority (Shurooq) is participating in China Trade Week, which started today 7th December at Abu Dhabi National Exhibition Centre and will continue till Wednesday 9th December. The event brings together over 200 Chinese exhibitors, looking to network and explore expanded business and investment opportunities with economic authorities, large companies and businesses in the region. The authority is participating together with Sharjah Chamber of Commerce and Industry (SCCI) and Sharjah Airport International Free Zone Authority (SAIF Zone). 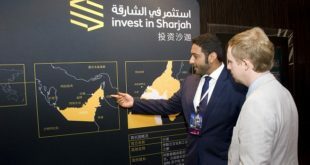 Through its stand at the exhibition, Shurooq will showcase the opportunities offered by its diverse and rapid growing economy to Chinese investors, particularly in sectors identified as Sharjah’s main areas of growth – including leisure and tourism, logistic services, healthcare and environment. 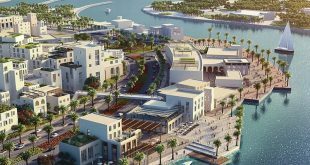 The authority will familiarize Chinese individual and corporate investors with its projects that are currently underway, such as Noor Island, the Heart of Sharjah, Kalba Ecotourism, Sir Bu Nuair Island, the Mleiha Ecotourism and Archeological Project, and Al Jabal Resort (The Chedi Khorfakkan). 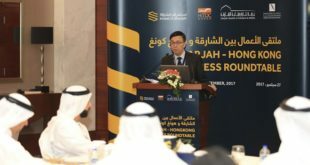 Mr. Saud Meqdad Al Suwaidi, Director of International Relations and Partnerships at Sharjah Investment and Development Authority (Shurooq), said: “We have a long experience in working with Chinese investors and businesses through a series of road shows and meetings with our Chinese partners over the last years. We would like to strengthen and build upon these excellent relationships by introducing the distinctive areas of investment in Sharjah to other categories of Chinese investment authorities and agencies, and attracting them to Sharjah”. Shurooq, together with SAIF-Zone, took part in the 7th edition of the China Overseas Investment Fair (COIF), which was held in Beijing on 22-23 October, 2015. The authority’s team organized a workshop titled “Sharjah Investment Promotion Seminar, which introduced Chinese and international investors to the opportunities available in the emirate. The team also highlighted some of Sharjah burgeoning sectors, which include travel and tourism, logistics and transport, healthcare and environment. 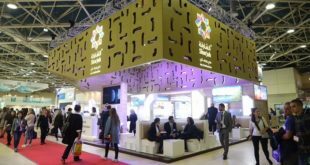 In addition, Shurooq and SAIF-Zone operated a dedicated booth that featured a range of collaterals regarding the emirate and its investment climate, as well as available investment opportunities. Shurooq was invited to participate at COIF by the event organizer, the China Overseas Development Association (CODA). The invitation came as a result of the MoU that was signed by the two parties in September, which was aimed at increasing cooperation and trade exchange and facilitating investment and between Sharjah and China. 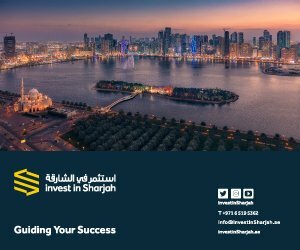 Shurooq was established in 2009 and seeks to encourage investment by adopting the best international standards in providing quality services that help attract investors from the region and the world. 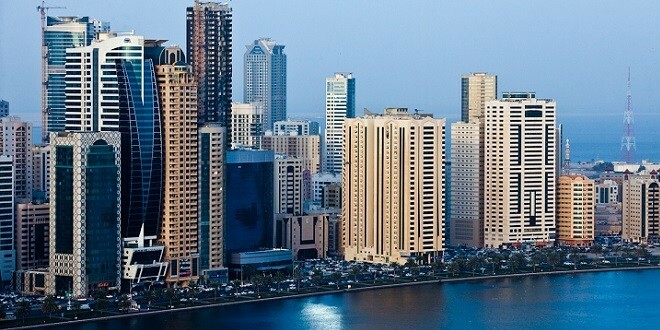 Shurooq ‘s key mission is to provide facilities and incentives to help overcome obstacles facing investment activities in the emirate, evaluate investment-related infrastructure projects, and lay down the necessary plans to complete such projects. In recognition of its overall accomplishments, Shurooq was named The Banking Awards 2013 – and 2014 FDI Agency of the Year in the MENA region, in the European’s Global Banking and Finance Awards, and was named the Top Investment Promotion Agency in the Middle East by Site Selection magazine in 2015.